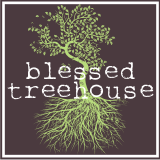 Blessed Treehouse: To the Mexican market we go. Spending pesos has never been so ??? Looks like fun! I had a great time when I went to Mexico years ago. I was great at talking them down. LOL They tell you one price...I tell them my price..."No no no....50". Nope, can't do more than 30. No no No..40. Nope....(and I start walking). Ok OK...30. Anyway...you look great! Have fun! thats disgusting. i'm a little angry with you for making me look at that. i had no warning!! suddenly i was reliving cambodia and being in the russian market when i walked RIGHT INTO the dead chickens hanging from the ceiling. blech. gross - seriously, pig heads? That just makes me want to hurl!